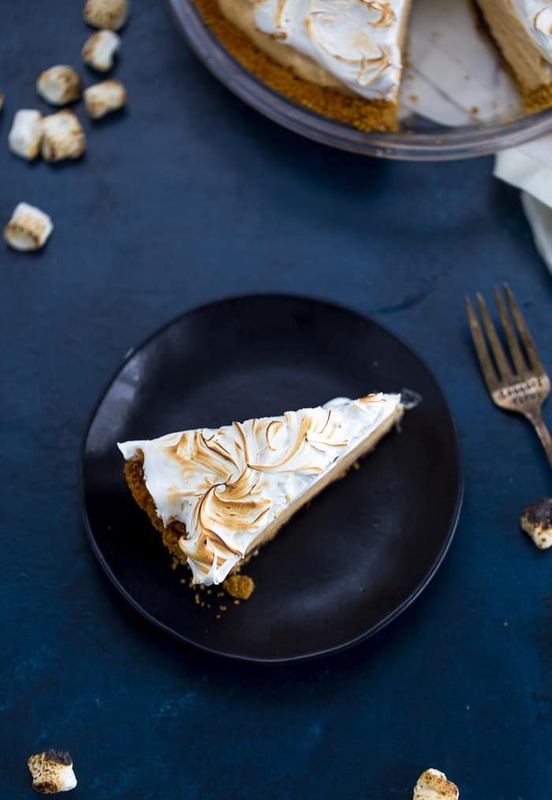 This Peanut Butter S’mores Pie starts with a crunchy graham cracker crust lined with chocolate, a creamy whipped peanut butter filling, and a cloudy marshmallow meringue topping. Happy Monday friends! I hope you are having a great start to your summer. It is definitely a great time of the year to slow down and enjoy quality time with the family. This peanut butter s’mores pie is a family favorite and one I make for BBQs and picnics. 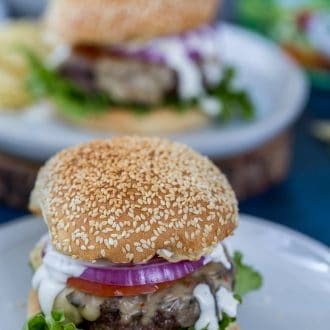 It’s always a hit and I know you will love it too for your gatherings. Summer is also our favorite time to travel and explore. This summer we have a lot of small trips planned and I can’t wait to get started. Boston, DC, South Carolina and Philadelphia are all on my summer road trip list. We just returned from our one big trip of the year, Italy. It was an amazing whirlwind of a week as we tried to squeeze in Rome, Florence, and Venice in just 8 days. We loved every bit of it and especially all the sweet gelato we consumed. So so good. I’ll summarize our trip in upcoming posts but for now, you can see a few highlights on my Instagram. Okay, back to this peanut butter s’mores pie. 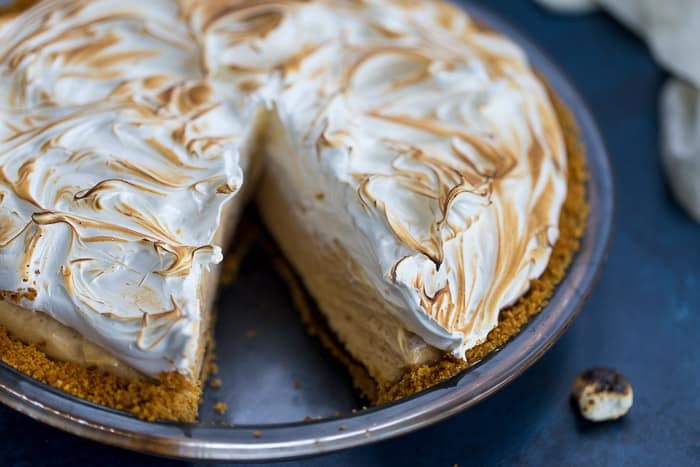 It’s a no-bake summer pie that’s bursting with all your s’mores flavors. A crunchy graham cracker crust is lined with melted chocolate. The filling of this pie is whipped peanut butter that is creamy and delicious. 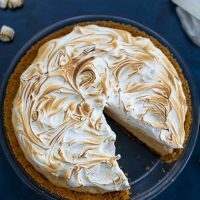 The pie is finally topped with a cloud of meringue topping that is the perfect sweet balance for a salty filling. 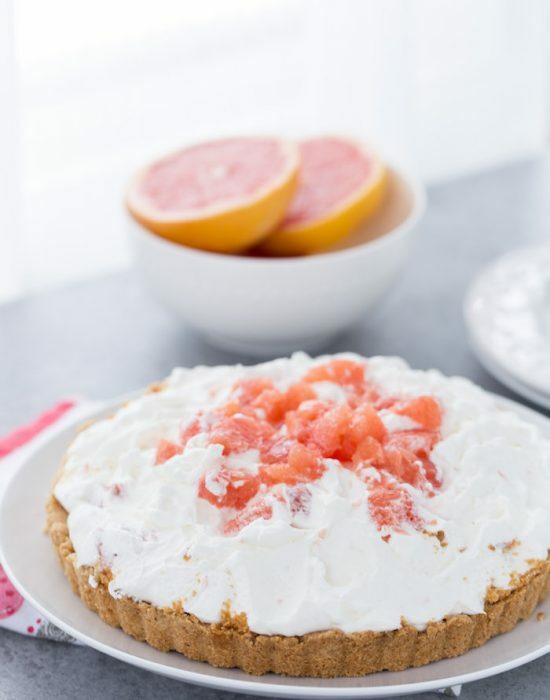 If you are looking for a classic summer pie for your celebrations, this is it. A sweet and salty peanut butter pie with the flavors of summertime toasted s’mores. Do it!! What are your travel plans this summer? Let me know in the comments where you are heading – near or far! 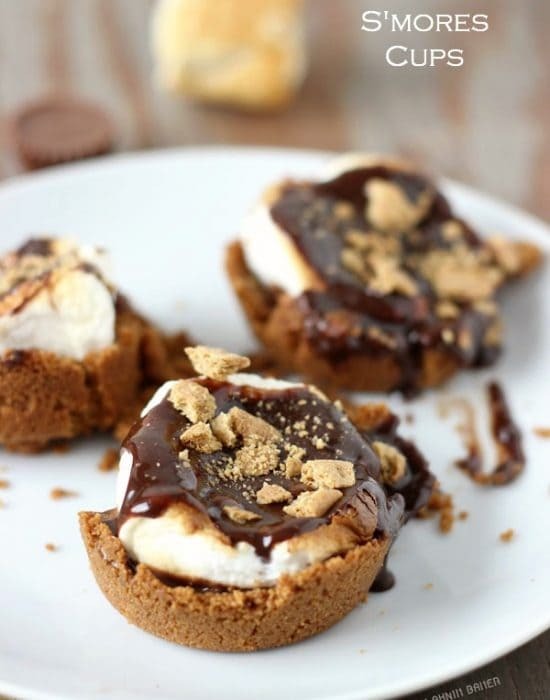 This peanut butter s'mores pie is perfect for all your summer celebrations. Preheat oven to 350 degrees F. Grease a 9-inch pie dish and set aside. Combine the graham crackers crumbs and melted butter in a large bowl. Mix until mixture looks like wet sand. Press into the bottom and sides of the prepared pie dish. Bake the crust until set, about 10-12 minutes. Transfer to a rack and let cool completely. Melt the chocolate in a heatproof bowl set over a simmering saucepan of water. Stir until smooth. Pour the chocolate over the crust and evenly spread using an offset spatula, going up the sides of the crust. Chill until chocolate sets, at least 10 minutes. Meanwhile, in the bowl of an electric mixer, beat the heavy cream on medium-high speed until soft peaks form. Transfer to a small bowl and refrigerate until ready to use. Clean the bowl and beat the peanut butter, cream cheese, milk and vanilla extract until smooth, about 2-3 minutes on medium speed. Reduce speed to low and add in the powdered sugar. Mix until combined. Using a rubber spatula, gently fold in half of the whipped cream until just incorporated and then fold in the rest. Spoon the filling into the cooled crust and smooth the top. 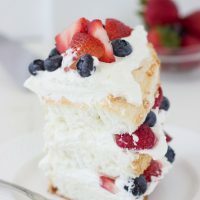 When ready to serve, make the meringue topping. 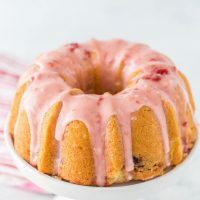 In a medium saucepan, combine ¾ cup sugar, water, and corn syrup. Bring to a boil over medium heat, stirring occasionally until sugar dissolves. Keep cooking, without stirring, until syrup reaches about 230 degrees. In the meantime, whip the egg whites in a large bowl with a stand mixer on medium-high speed until soft peaks form. Gradually add in the remaining ¼ cup sugar to egg whites with mixer running. When the sugar syrup reaches 230 degrees, remove from heat. With the mixer on low speed, carefully pour the syrup down the side of the bowl in a slow steady stream. 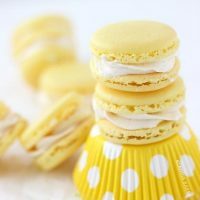 (If you are using a hand mixer, get someone to do the pouring for you). Increase speed to medium-high and whisk until the mixture completely cools and stiff peaks form about 7 minutes. 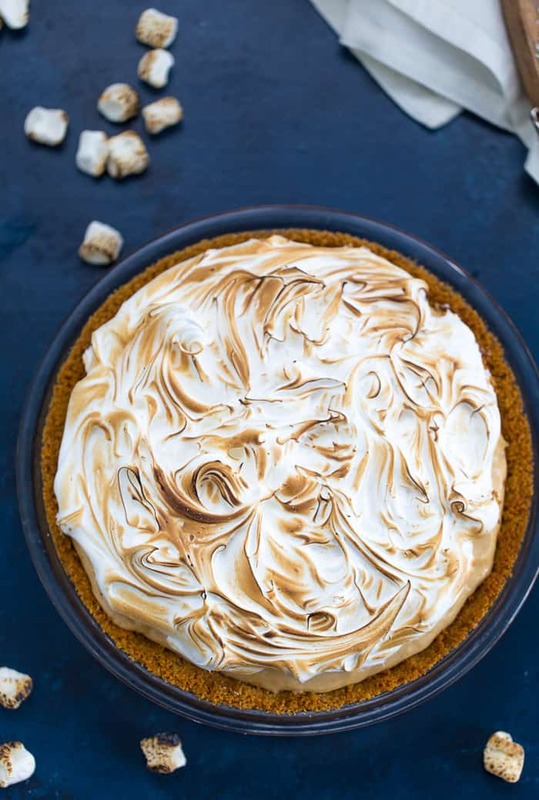 Use the meringue immediately to top the pie. 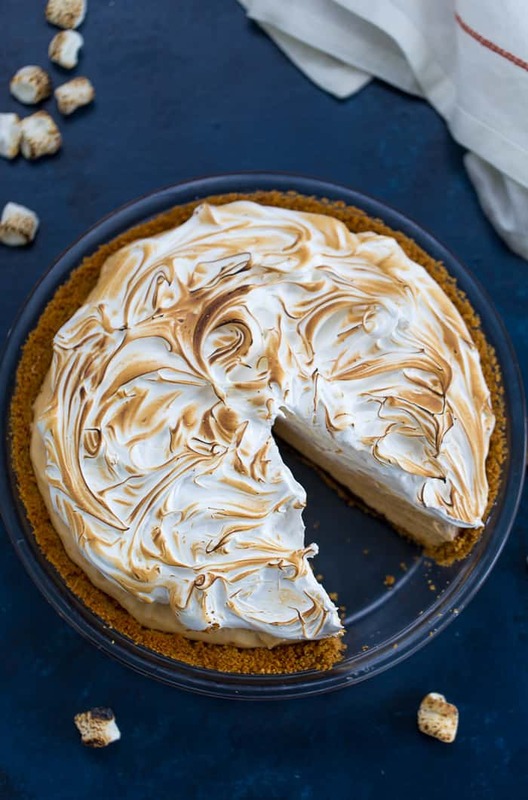 Dollop the meringue on the pie and use a spatula to create peaks. 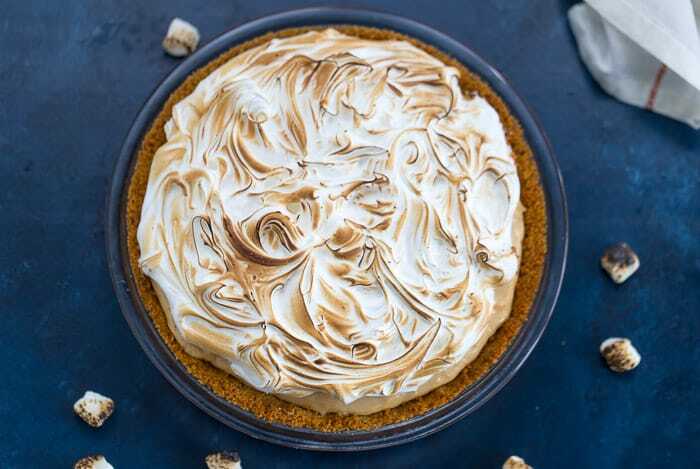 Use a kitchen torch to brown the meringue. Will definitely have to give this a go this weekend. I have my grandkids coming to stay and they love grandpas homemade deserts! I’m sure they will love this! Let me know how it goes please. I loved following along on your Italy trip — I can’t wait to go there one day! 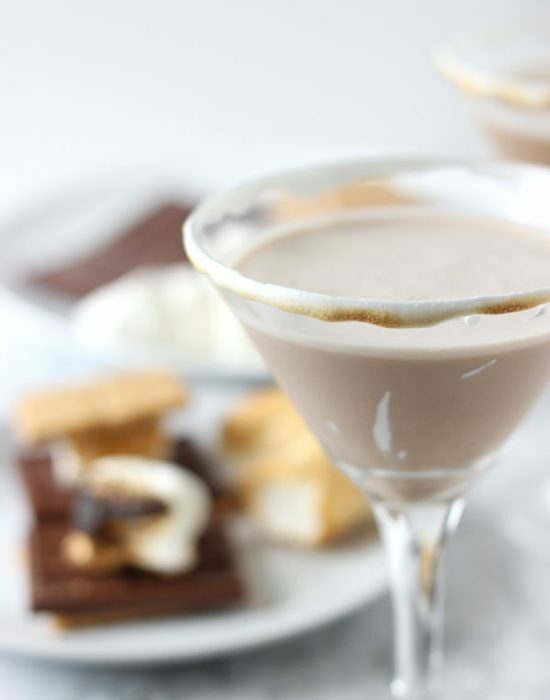 I love peanut butter pie and your s’mores version here looks absolutely incredible. 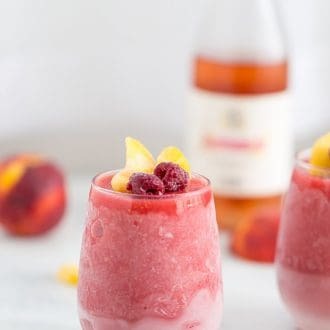 What an amazing summer dessert! It was a great trip!! Definitely, one I think you will love. 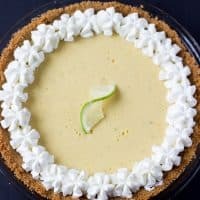 I’ve been looking for a pie to make for Father’s Day and I think this might be IT! 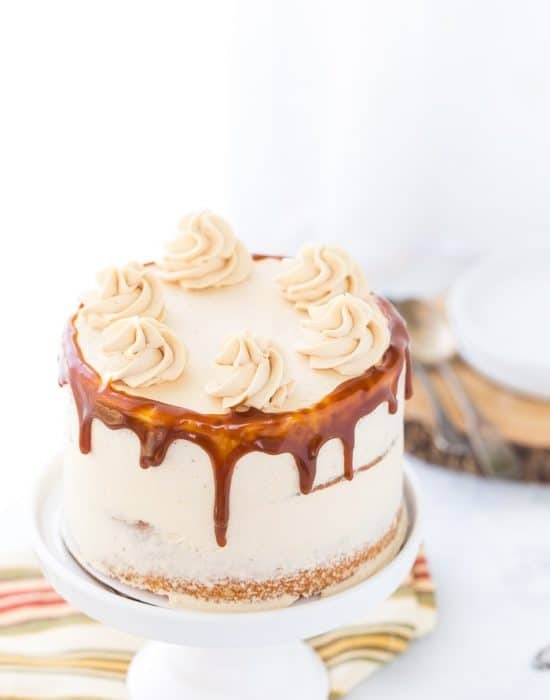 My husband’s family can be pretty picky but we can all agree to love peanut butter desserts. This is one everyone will agree on!! 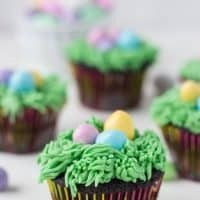 In the picture the meringue is brown but the recipe doesn’t say to brown or bake. It says frost cooled cupcakes.?? Did I miss something?? Hi Donna, you did not miss anything. Just a typo. 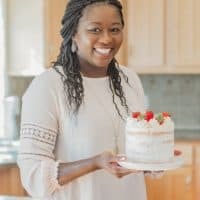 The recipe is now updated, I apologize for the confusion. This is the perfect pie. The end.